Is a potent 17-alpha alkylated derivative of dihydrotestosterone. This is a potent anabolic and androgenic drug despite being weakly bound to the androgen receptor. Oxymetholone 50 promotes protein anabolism and rapid weight gain but has the potential for substantial adverse reactions. 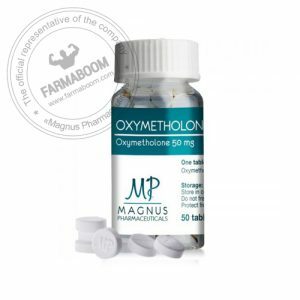 Oxymetholone 50 promotes increased strength, muscle mass, and growth of new red blood cells. CAS number: 434-07-1. Dosation: 50 tabs/bottle. This is an oral 17-alfa-alkylated steroid that is highly androgenic and highly anabolic. Reported gains in body weight of up to 20 LBS in the first 3 weeks of use were not uncommon. Athletes using this drug experienced remarkable strength and recovery elevations. Users noted a distinct increase in aggressiveness, (which if focused on training only was noted as positive) excessive water retention, and muscular size. Oxymetholone is commonly used as an off season mass building drug, though some mass monsters have used it up to 7-10 days efore competition by stacking antagonist anti-estrogens and diuretics. Unfortunately this drug is probably the most dangerous of all AAS when abused and utilized when not under a physician’s care. Users get huge but often feel flu-like symptoms during use. Oxymetholone abuse is linked to prostate and liver cancer, liver disease, toroid dysfunction, leukemia, and heart disorders. Even hepatic coma can result from abuse. Not uncommon side effects included: sensitivity to anti-coagulants (the stuff that regulates bleeding internally and externally) hair loss, prostate enlargement, severe suppressions of the HPTA resulting in low sperm and endogenous (natural) androgen production, nausea, stomach aches, diarrhea, and throwing up on occasion. Women can add possible virilizing symptoms such as clitoral enlargement, facial hair growth, deeper voice, missed periods, and other androgenic linked side-effects. Oxymetholone negatively effects liver function such as an increase in SGPT and SGOT enzymes which are indications of hepatitis (liver infections) which can manifest itself as yellowing of the eyes and finger nails because of an increase in biliburin in the liver. Another liver enzyme, gamma -GT, is sensitive to Oxymetholone, and alkaline phosphatase is altered as well. I cannot stress the importance of monitoring by a doctor. 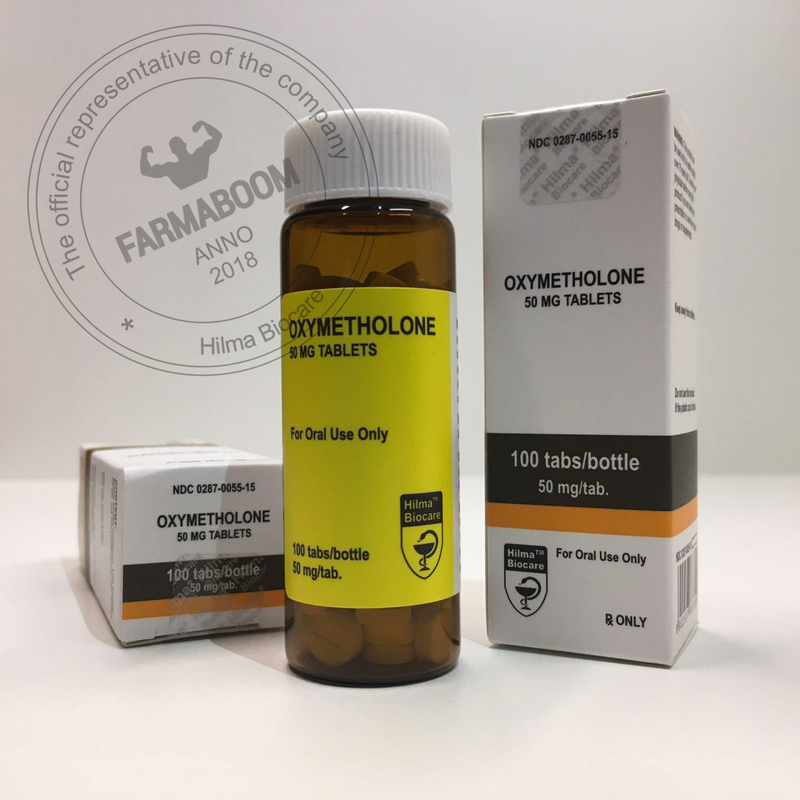 Oxymetholone is a derivative of DHT. Many report gyno from use but this is unlikely due to this drug aromatizing because DHT does not aromatize to estrogen. The more likely reason is they purchased bogus oxymetholone from a black market dealer that actually contained methyltestosterone. There is another reason gyno is possible, but we will discuss that in a moment. Oxymetholone does cause high water retention due to electrolyte retention thus creating a massive but puffy appearance to muscles. For the same reason, the drug causes water retention and fluid build up in joints. This manifests itself in joint pain-free training for most users. 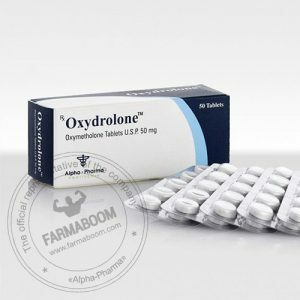 In medicine Oxymetholone is used to treat low red blood cell production which means during administration red blood cell count is stimulated. For this reason the drug increases oxygen transport to the muscles resulting in an incredible muscle pump after only a few sets of training. I have often noted those who used oxymetholone recovered between sets, exercises, and work-outs at a remarkable rate. So the drug does protect against overtraining quite well, thus when it was stacked with anti-estrogen such as Nolvadex and a diuretic to cut electrolyte (aldosterone) caused water retention, and a high anabolic drug such as Deca Durabolin, quality, quantitative, muscle gain resulted. The fact that this drug’s water retention side effect responds to antagonist type anti-estrogens is interesting since, from a chemical structure stand-point, it should not aromatize to estrogen. Even the insert states edemas (water retention) may occur but does not list elevated estrogen levels under “side effects”. However, readers should realize Oxymetholone itself can merge with Progesterone receptors and may act as an estrogen in this manner. As to dosages, advanced bodybuilders and power lifers usually reported excellent results with 50-200 mg daily divided in 2-3 dosages. Since results begin to decline after the first 2 weeks it some reported that their protocols were more productive (and safer) when they started at 50mg daily and increase by one tab weekly until a total of 150-200mg daily was reached at week 3. They then maintained that dosage for a total of 2-3 additional weeks. Some reported a following protocol that allowed reduced dosages by one tab weekly. My personal experience has been that liver stress becomes an issue after the 4th week of administration and as such did not personally exceed this time period for use. Replacing Oxymetholone with a high anabolic such as Deca Durabolin or Equipoise during the transitional phase was quite effective for maintaining a greater amount of the oxymetholone induced lean mass. Many reported exceptional results with a stack consisting of 50-100 mg oxymetholone daily, 152-228 mg of Parabolon weekly, and 200-500 mg of testosterone enethate weekly. In most cases users reported that liver values returned to normal after 1-2 months of discontinued. This seems to be supported by the available medical literature on oxymetholone. High blood pressure was common during use. High blood pressure should never go untreated. The hair loss does not reverse by the way. Post-cycle the administration of HCG and Clomid was used to return normal HPTA function in all but very rare cases. “The boys” normally began to produce normal sperm and testosterone levels after 2-3 weeks of discontinuance. Can you tell that I did not like Oxymetholone for long term personal use? Post-cycle, without the layering of a transitional phase replacement AAS such as nandrolones, Primobolan Depot, Equipoise or Winstrol Depot, gains made with Oxymetholone alone soon disappear in most cases.